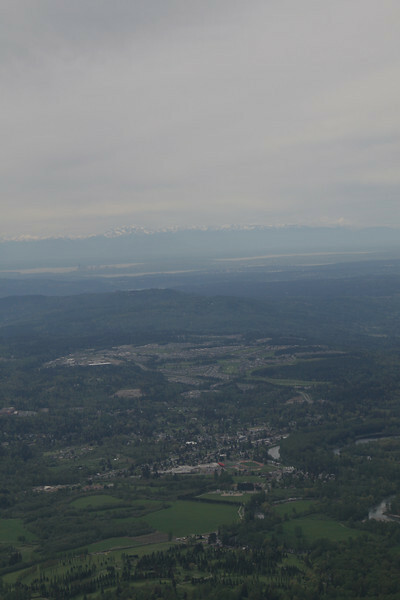 Today I finally went to what is supposed to be Seattle's most popular hike, Mount Si. Unfortunately I think its popularity comes only from the proximity to Seattle (about 45-minute drive) and the good condition of the trail itself, but not really how nice the hike is. It's an 8-mile roundtrip hike where you hike up for 4 miles straight (gaining about 3500 feet, about 1 km) and then down for 4 miles back. There are pretty much no views in the middle of the way. If you don't make it to the top, you don't see anything beyond trees and some rare wildlife. But is the view from the top worth it? Oh, yes! It's amazing. If you get a clear day (which we didn't quite), you can see all the way to the Olympic Mountains. Conclusion: did I enjoy it? Yes! Would I do it again? I don't think so. This is to show that unfortunately the day wasn't so clear. In this picture you can see the Olympic Mountains in the back and some hazy version of downtown Seattle and downtown Bellevue. 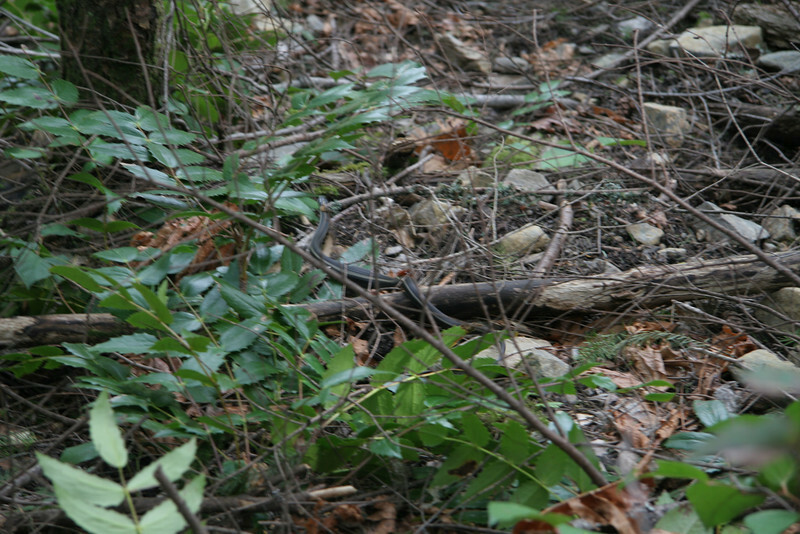 If you can't identify what you are looking at, it's a snake, a Gartersnake to be more exact. Not dangerous at all.